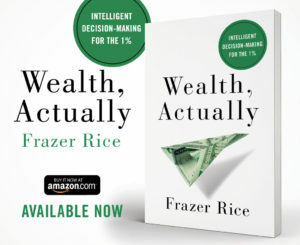 Frazer Rice’s WEALTH, ACTUALLY out on Amazon now! | FrazerRice.Com | Interviews with entrepreneurs, experts and the creative people that push the world forward . . . . and some old fashioned commentary from me . 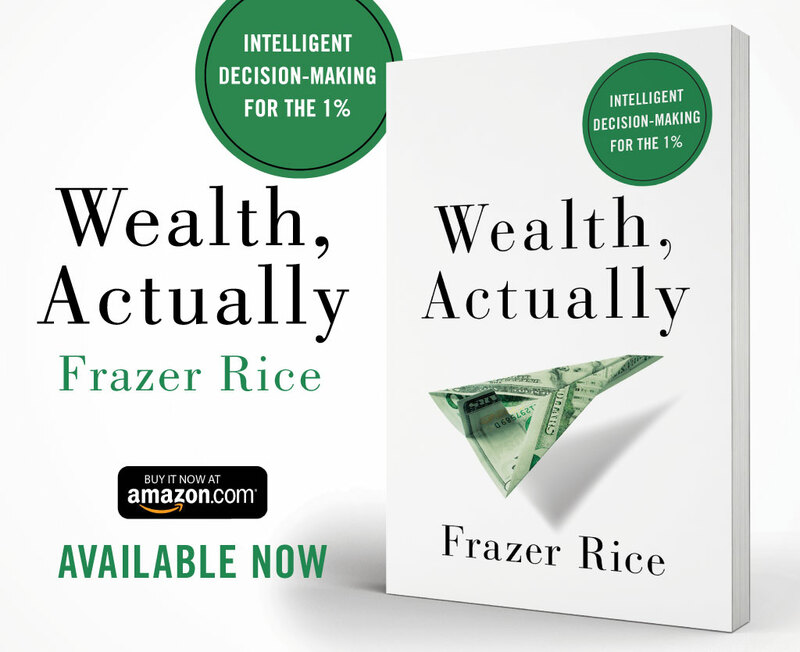 . . Frazer Rice's WEALTH, ACTUALLY out on Amazon now! Intelligent Decision-Making for the 1% . . . 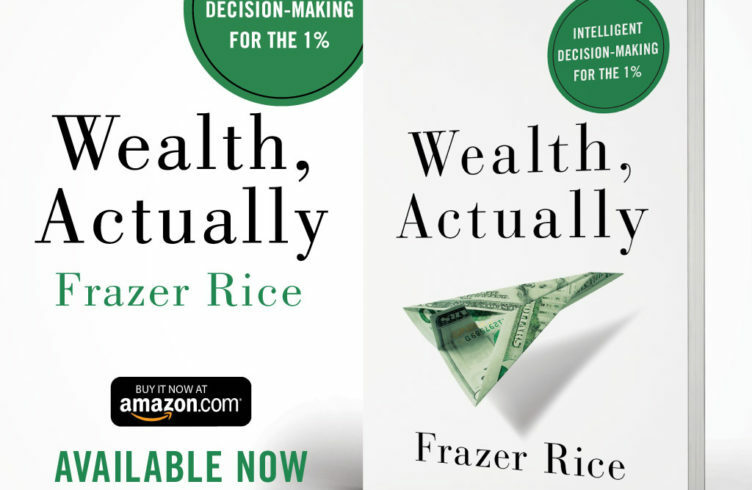 In Wealth, Actually, Frazer shares his holistic, adaptable approach to wealth management. Through a combination of philosophical discussion, practical advice, humor, and anecdotes, he shows how prosperous individuals can determine what they want their wealth to do; communicate with loved ones about their fortune; avoid overspending; handle wealth threats; evaluate, grow, and protect investments; and choose the best advisors.